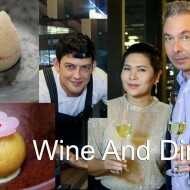 We recently take our culinary journey to CDC(Crystal Design Center), Ekamai-Ramindra area, to dine at the Aston Gastro Bar. 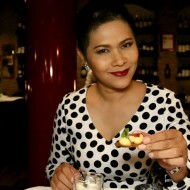 Owned and run by celebrity chef Zra Jiraratana. The Aston Gastro Bar is quite a unique restaurant in many aspects. 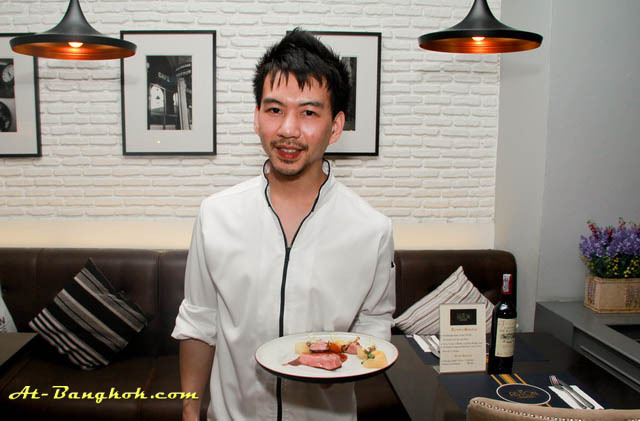 First, the Aston Gastro Bar does not serve bar food as its name suggested but it serves fine dining cuisine, comparable to famous fine dining venues in the city center. Second, not too many people would expect molecular gastronomy in a suburb shopping complex. However, the experience is worth while. The restaurant has both indoor and outdoor seating. Our table was inside by the window, the indirect lighting made a relaxing ambiance. 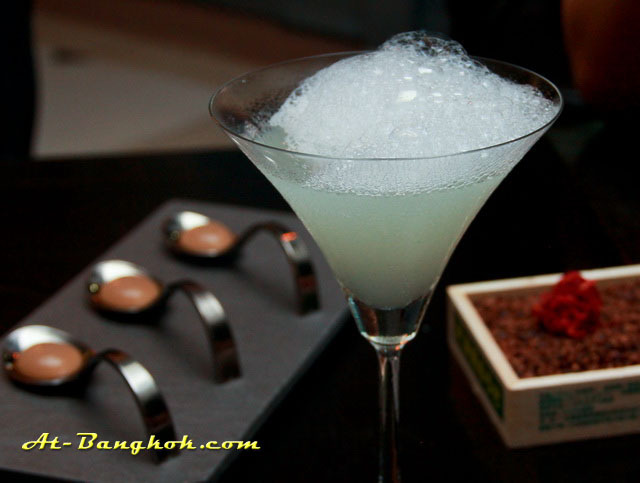 The restaurant manager suggest to start the evening with Aston version of margarita. Instead of riming the glass with salt, the salt comes in the form of foam, a nice touch it feels smoother to the mouth. The balance of triple sec, lime juice and tequila was just right not too sweet and not too salty. 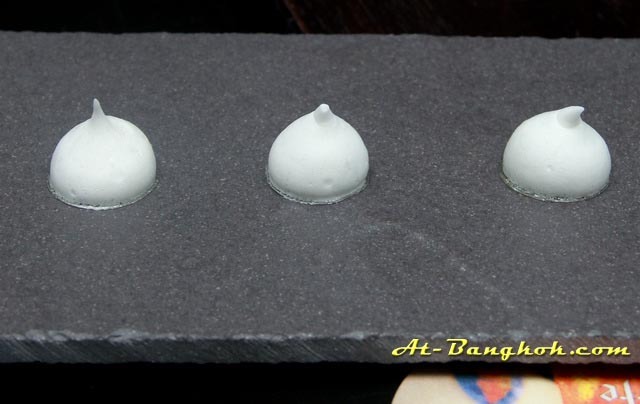 We decided to go for the degustation tasting menu a sequence of selected dishes priced at 1,600 baht per person. First up was Ume Bomb, an egg yolk like texture. But once it burst in the mouth, it was a surprise flavors of Asian plum. 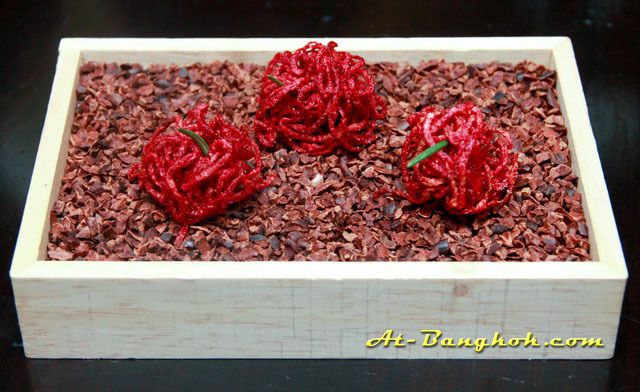 The next nibble was tumbleweed, salty and crunchy, it was made of dried beat root. 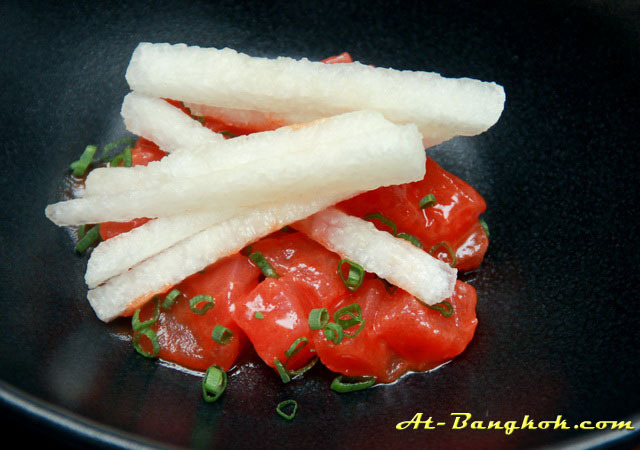 Cold smoke tuna tartare with Asian pear. This was a refreshing dish with influence of Chinese taste. The tuna was not over seasoned and the sweet pear was a good match. 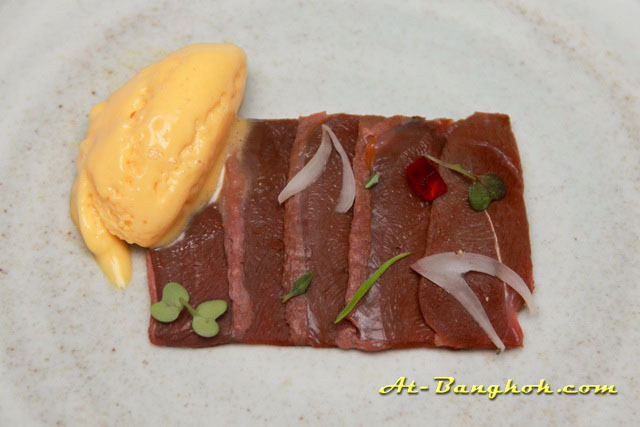 Pigeon carpaccio served with béarnaise ice cream. It looked almost raw but the chef inform us to keep the moister and original flavors it was cooked with the sous-vide method. The pigeon was light and very tender. The béarnaise was a bit sweet for my taste but it did added complexity to the rare bird. 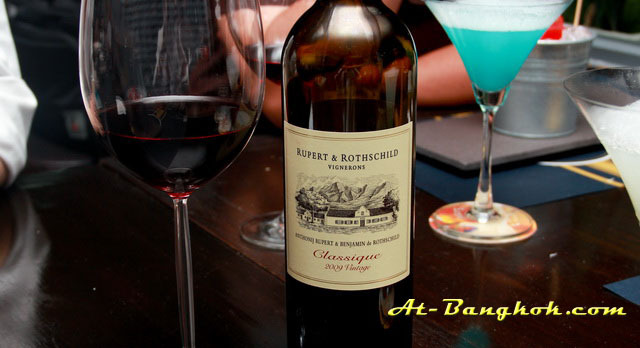 Again the manager suggested Rupert Rothschild Vintage 2009, it was a good choice. 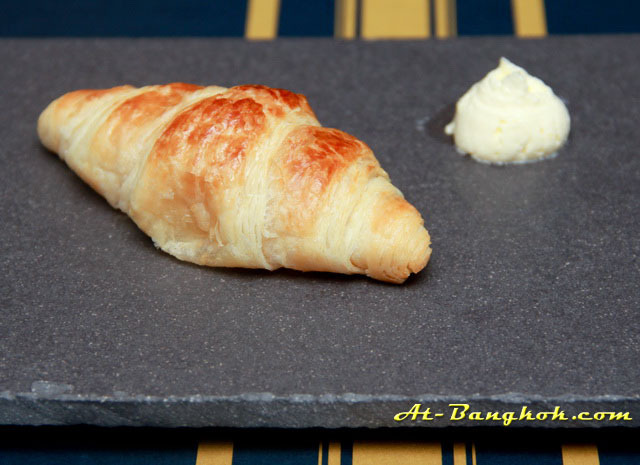 This croissant does not look like much but it was one of the best in town. It was soft, flaky, crisp and mouth-melting with butter. After my first bite, I new I had this some where else before. The chef said “the dough was from the same source where Water Library got theirs”. It was imported from France and baked at the restaurant. 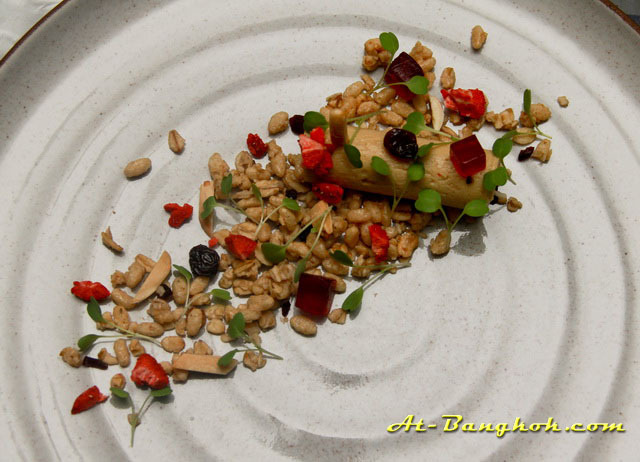 Foie gras terrine 2.0 – granola, almond strawberry sultana rosselle. Delectable creamy foie gras terrine served with crunchy nut and dried fruits. We like the mixed textures of this dish. It was a feast for the eyes as well. 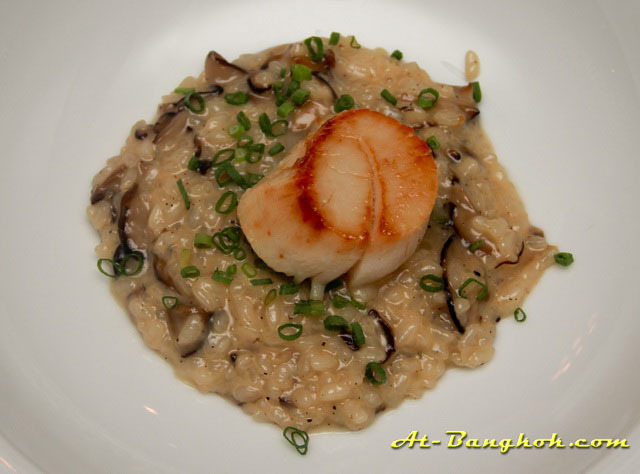 Mushroom risotto with hokkaido scallop. This dish was our favorite. 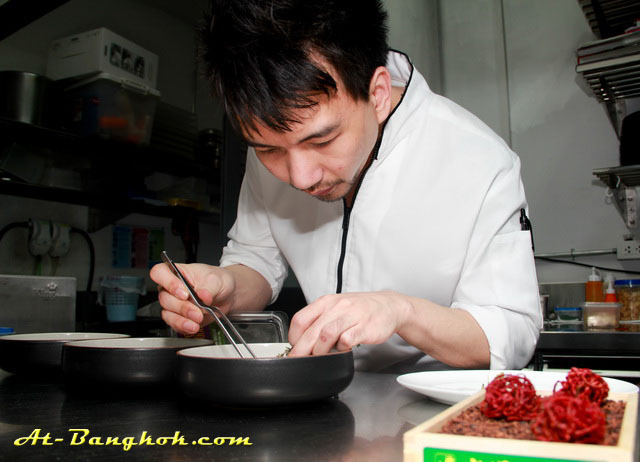 Unlike traditional risotto that uses arborio rice, Chef Ton used Japanese short grain rice. Creamy texture served with perfectly cooked sweet Hokkaido scallop. Compressed watermelon with vodka sea salt and lime zest to cleanse the palate. 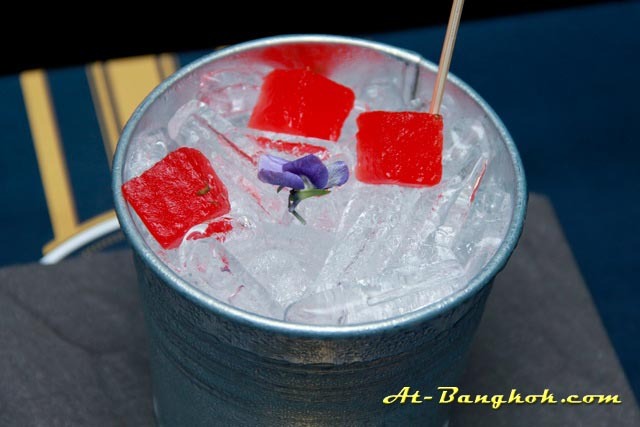 The watermelon was highly concentrated with vodka, very potent. 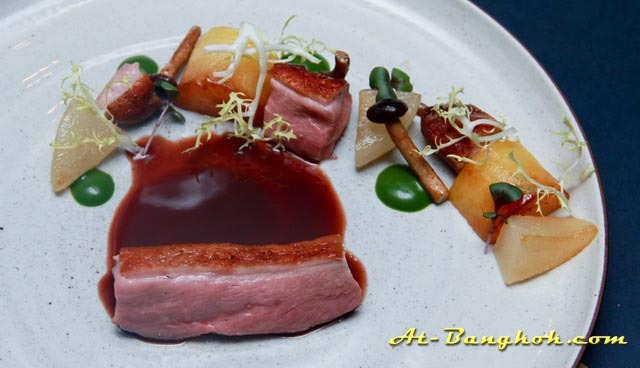 Duck breast – potato fondant, confit of Asian pear. 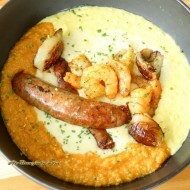 Another beautiful and well executed dish. Perfectly sous-vide duck breast then lightly seared served with potato fondant and Asian pear. 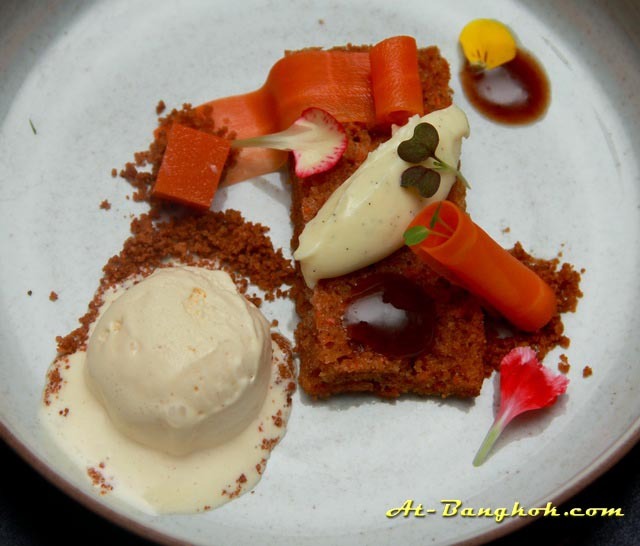 Deconstructed carrot cake was a great ending to this dining experience. All the elements of carrot cake were there only it does not look like it – served with homemade ice cream made with Paco Jet machine. 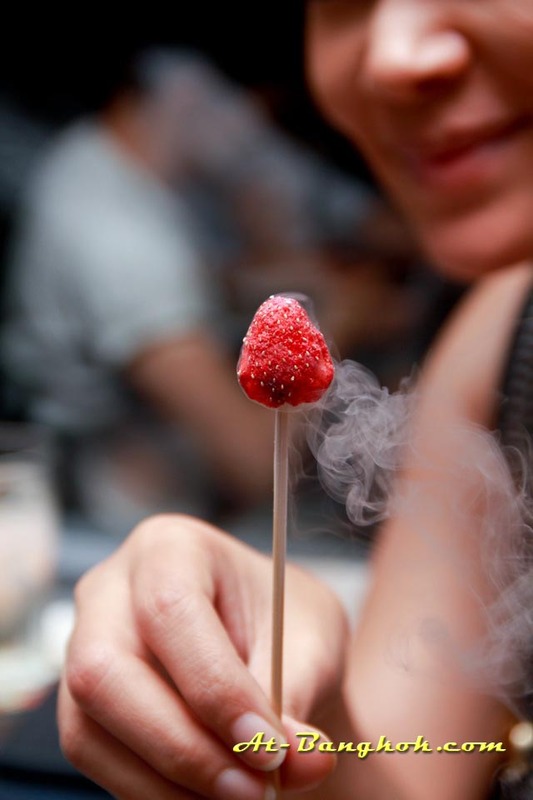 Lastly something theatrical, the strawberry came in a bucket full of smoke. It was fried with liquid nitrogen. One bite of this was like smoking. 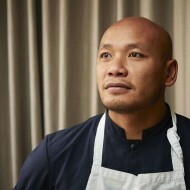 After dinner we talked to Chef Zra. 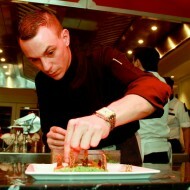 Not only he is a very talented young chef, but he is also very passionate about cooking. 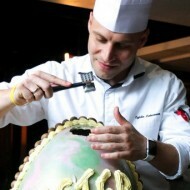 His passion will take him very far in the culinary world. Text by: Vasu Srivarathanabul Ph.D.